2018 was a defining year for IBM and our clients. Your company returned to growth, just as businesses readied to enter Chapter 2 of their digital reinventions. Explore these stories of how IBM and our clients are changing work and business—and ultimately, the world. The airline is using custom-made IBM MobileFirst for iOS apps and working with IBM Services to redefine how its crews work and its business operates. To ignite a major business transformation, United Airlines turned to IBM iX—the business design arm of IBM Services—and a set of business applications from a global partnership between IBM and Apple called IBM MobileFirst for iOS. 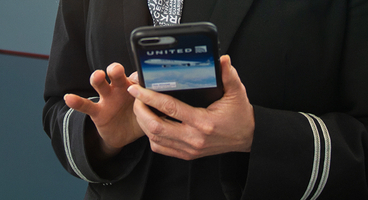 United and IBM used the IBM Garage method to design apps for the airline’s growing deployment of iOS devices. The IBM Garage method, used by IBM Services with clients around the world, emphasizes co-creation and frequent iteration. It has allowed United to build complete, integrated mobile platforms that start with a user’s experience and extend to all the airline’s core business processes. The ability to quickly and efficiently deploy mobile solutions on a massive scale enabled United to focus on its core mission of transporting customers to their destinations on time. The apps are also giving flight attendants like Deb Winchell new ways to help customers enjoy their flights, which makes everyday travel just a little less stressful for everyone involved. Clients sit side-by-side with IBM industry experts, designers and developers to incorporate user feedback in real time to build solutions in days—and scale them in weeks. In the Think phase, clients envision the future state and establish backlogs of tasks. Prototypes and proof of concepts come out of design thinking workshops. Teams work to prove hypotheses, incorporate user feedback and think of new ways of working. Teams design and build production-ready minimal viable products (MVPs). Optimize design, test, continuously deploy. Teams constantly improve MVPs and create production architecture, digital labor and change management plans. Then: Deploy at scale. Bad weather causes about one-third of flight delays, but many other factors contribute too, from air traffic congestion to minor mechanical problems. “Most challenges stem from things I can’t control,” Deb says. “But when I can make a difference in a customer’s travel experience, it can be a huge deal to them.” That’s why it’s important to resolve issues before they affect customers. Deb can now be more proactive by using one of the apps that were co-designed by United and IBM iX. According to Jason, “Flight attendants can use an app to report an issue while a plane is still in the air.” Information about the issue is then routed directly to the ground crew at the plane’s destination. The agile IBM Garage method helps organizations think beyond their existing systems and focus on what customers actually need. When combined with IBM Cloud and IBM Watson, it’s nothing less than a way for organizations to reinvent themselves—an approach that’s being adopted by enterprises around the world as they move to the next chapter of their digital reinventions. The approach has helped create a startup culture in Banco Bradesco, one of Brazil’s largest banks. Bradesco can now quickly respond to the rising demand from its 75 million mobile banking customers. It also showed East Carolina University new value in discarded data that enabled the school to predict possible outcomes, report strengths, weaknesses and deficits, and enable advisors to better assist students and improve educational programs. 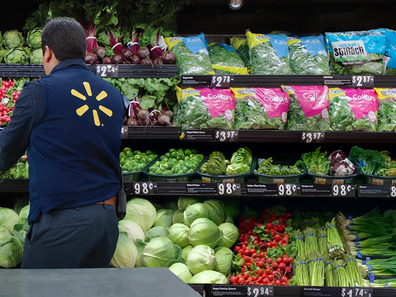 Digital reinvention isn’t just a product or a platform. And it’s certainly more than just a buzzword. It’s a promise: a new way to innovate and rethink a company from the ground up and help customers and businesses alike. SEC Edgar version that includes the following exhibits: financial section of the IBM Annual Report 2018; Powers of Attorney; Resolution of the IBM Board of Directors authorizing execution of this report by Powers of Attorney; Amendment No. 1 to the Amended and Restated Deferred Compensation and Equity Award Plan; Amendment No. 8 to the IBM Excess 401(k) Plus Plan; and Form of Noncompetition Agreement.